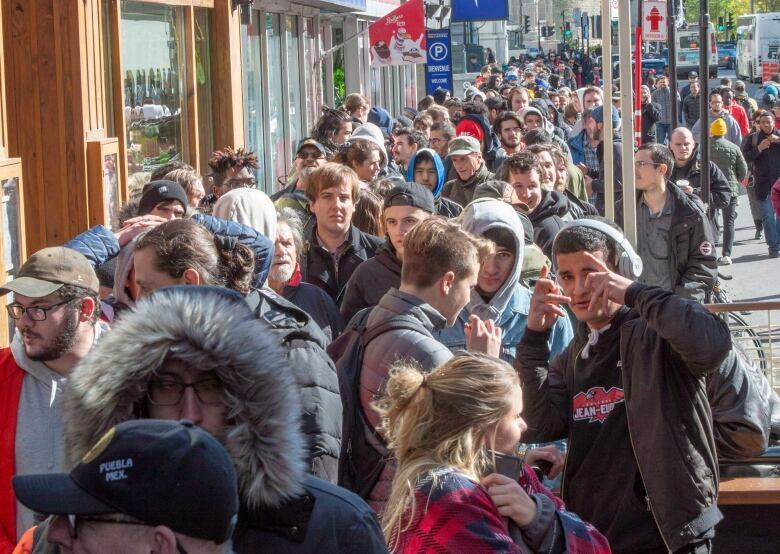 Customers are being warned expect long lines, delayed openings and supply shortages as Ontario’s first licensed cannabis stores open this week. Inside Nova Cannabis in Toronto's bustling Queen Street West neighbourhood, the shop's budtenders are crowded around a low table, taking whiffs of tiny vials and exchanging their observations. "Slightly spicy," says one, before jotting down some notes and picking up another sample. The first nine licensed cannabis stores in Ontario — the government had hoped to have 25 selling by this date — opened for business on Monday. But just days before, Nova Cannabis, like many of them, still wasn't quite ready for its big moment. It was only a few months ago, on Jan. 11, that a lottery system determined which retailers would be eligible to apply for a licence to sell cannabis in Ontario. And the application process is time-consuming. It includes, for example, finding a location that meets certain regulatory requirements, and informing the neighbourhood that you intend to set up shop. And of course, you can't order any stock until the licence is approved. Nova Cannabis isn't expected to open on Monday. While anxiously refreshing her email, owner Heather Conlon is trying to visualize what things will look like once her licence and first cannabis shipment finally arrives. "It's going to be very busy, we expect lineups, obviously," she said. Hunny Pot Cannabis Co. received its licence in time to place orders and schedule its final inspections before Monday. It appeared to be the only shop in Toronto on track to meet its target opening. 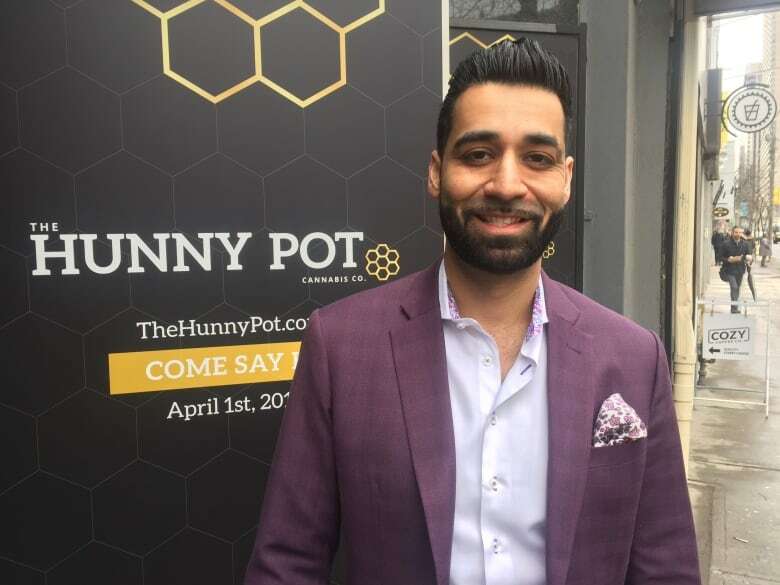 "It's been an amazing roller coaster," said owner Hunny Gawri, a Mississauga, Ont.,-based realtor with no prior experience in the cannabis industry. "If there's lineups, is the line moving fast enough? Are we ordering product that the customers want?" Gawri said. "Honestly, we just want to make sure that everyone who comes through enjoys the experience." Industry experts predict Ontario's first cannabis stores will experience many of the same growing pains as those in other provinces. The challenges could be even more pronounced in Ontario, where less than half of the 25 proposed stores were on track to meet Monday's target opening date. "I think there will be few shops opening of the 25," said Jay Rosenthal, a cannabis industry watcher and co-founder of the online platform Business of Cannabis. "The time horizon to get open by April 1st was really, really aggressive for any kind of business," he added. Further, because those licences require stores to open on Monday, those that don't will face fines of up to $12,500 every two weeks, and $25,000 if they're not open by the end of April. Statistics from Health Canada point to a robust national supply — the federal agency says the Canada's total inventory of dried cannabis is nearly 19 times larger than total sales — but owners are worried about getting enough product into their stores. Retail shops in Ontario are obliged to order their products through the provincially run Ontario Cannabis Store (OCS). The OCS says it will distribute a "reasonable amount" of supply to support each store's operation, but has set maximum order sizes due to what it calls a national shortage of cannabis. 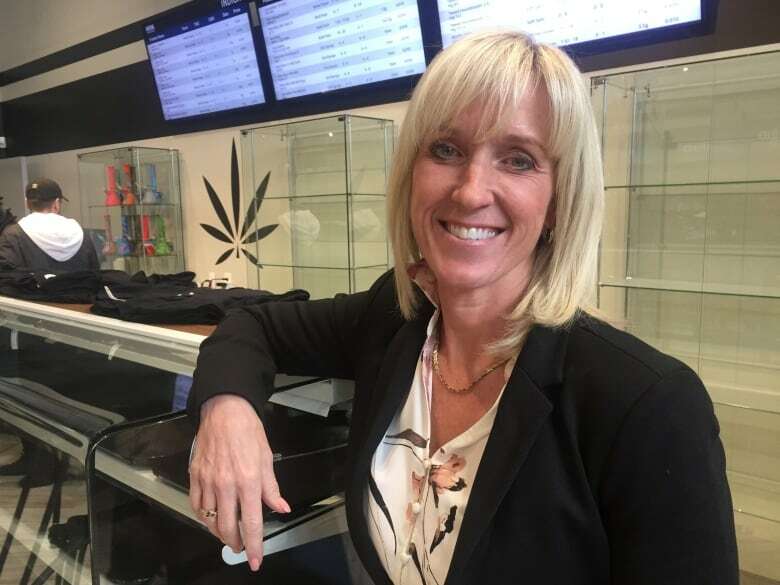 "Stores and customers should anticipate that the assortment of some products may be limited until the legal recreational marketplace stabilizes over time," OCS spokesperson Amanda Winton said via email. 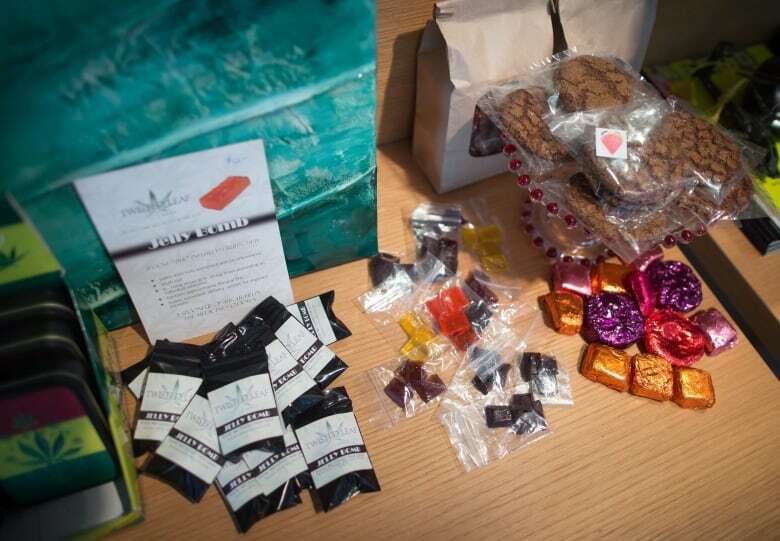 Ontario's thriving black market — which includes dealers, online stores and illegal dispensaries — is also expected to pose a threat as the licensed stores first open. "I'm concerned about that, of course," Conlon said. She is hoping that police renew their focus on unlicensed dispensaries. "I've heard that they're going to be cracking down on those stores and hopefully keeping them closed," she added. Ontario's Progressive Conservative government has also said it will lift the 25 license cap once the cannabis supply stabilizes, though it is unclear how many new stores the province will allow. "Ontario being the biggest market in Canada, there's enough business for everyone," he said.